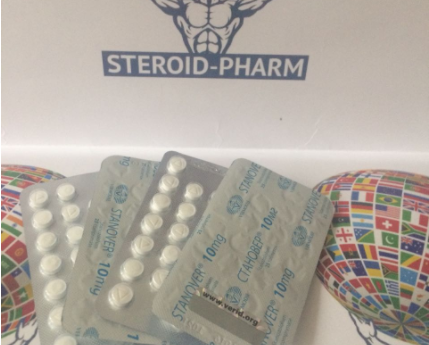 The medication called Stanover manufactured by Vermoje is a worldwide-known medication among the proffessional athletes and amateurs. Stanozolol is an active substance of this medication. This medication has an outstanding anabolic activity with the reduced estrogenic impact. The effect of a drug can be characterized by the following: it increases the strength, the same goes with the muscle mass, relief as well as dryness, stiffness of muscle mass. Athletes usually use this medication also during the drying course to burn fat and remove excess water from under the skin. The optimal dosage of Stanover for men is 50-100 mg per day; however it may vary slightly depending on the athlete himself, bodyweight, fitness, goals, etc. Beginners in this matter should better understand the selection of the dose as detailed as possible, do not risk your health and use at random the chosen dosage. The greatest effect of Stanover can be achieved if the athlete has a relatively low percentage of subcutaneous fat. If there are significant fat folds, it is better to start a little burn fat. Let’s consider some facts about the effect of the medication. The course of the Stanover lasts approximately 6-9 weeks, depending on the goals and preparedness of the athlete. The effect of the drug is noticeable almost immediately. It is active for 8 hours. Therefore, the dose per day should be divided into 3 doses. Duration of the discovery period is 3 weeks. Stanover manufactured by Vermodje is available both in oral (in form of tablets of 10 mg), and in injection form. Tablet form of release has some advantage (relative) - the drug's usage by women is somewhat easier, because the intake can be easily controlled. For women, the dose, naturally, will be lower than for men - 5-10 mg per day. Stanover manufactured by Vermodje in fact does not show any harmful side effects. Properly designed and implemented course will decrease any possibility of the side effects to the minimal level. During the course of Stanover you don't need to take anti-estrogens because the preparation does not affect an estrogenic level. Consider that the medication increases the blood pressure. The appetite increase is also guaranteed. Thus during the course of a medication you will need to pay attention to your diet and avoid gaining extra calories from unhealthy products. Instead, increase the protein level in your nutrition. If you decide to buy Stanover in tablets or injections, then pay attention to price of goods. Suspiciously cheap drug might be a fake; we can say that with 95% confidence. Stanover is not a cheap enough, so do not save on it, take care of your health buy product only in proven places. 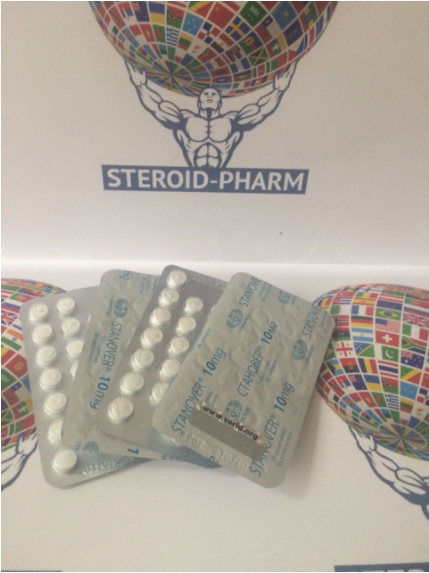 When choosing a steroid, it must be borne in mind that Stanover's tablets are more toxic to the liver than its injectable form. And the "eternal" course of this drug is unacceptable and there must be a break between the methods. Many reviews about Stanover from Vermodje managed to prove itself well among an industry and we can say that the feedback is completely positive. For now many athletes considered the affection of a medication as a totally positive. The athletes noticed the increasing of a body power as well as well shape-forming. All the negative reviews are about the overdose issues. If you take the medication correctly and carefully, you might receive only the positive experience. Before intake, please consult with your therapist. Do not self-medicate. You can buy the Stanover from Vermodje right now on this website.